Want a Fan Club? Buy This House in Our Neighborhood! There’s a house for sale on our street, and it’s not just any house, nor is it just any street. If you buy it I (can almost) guarantee you will gain an immediate fan club. Talk about a fringe benefit! Your new neighbors will likely come up to you with big smiles and greet you, some perhaps bearing gifts, welcoming you and thanking you for taking on the project. They will tell you about our great block parties, the progressive dinners, and you will feel loved and appreciated. Our street is in the historic part of town, graced with many stately and charming homes that owners seem to take a particular pride in restoring, and where you can sense a palpable awareness of the value of maintaining older homes. It sits there on the corner of our block ­­– once a stunning pale yellow colonial with white trims and charming eaves, neat and lush laurel shrubs lining the white picket fence – but over the last few years it has been uninhabited, and now looks forsaken and sad, as if its soul once walked out the door and never returned. As the fence has peeled, the shrubs have became unruly and the shutters drooped, we, the neighbors, have watched with sinking hearts while the unforgiving players of time and seasons have made their marks on this former bright pearl of the neighborhood. But like natural pearls that lose their luster, this unique house too can regain its former splendor once it receives the right care; a clear vision coupled with the will to restore a once graceful home, and some good old TLC. 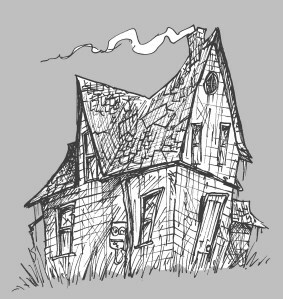 And I bet once a family moves in and breathes its energy into the walls of this house, the dailiness of life will quickly bring about the long needed transformation. Surely, there will be a supportive troop cheering on the metamorphosis, no matter how long or slow it will be. Maybe we’ll will start a fan-page on Facebook and follow the process with encouraging comments and inspirational quotes. But hey, no pressure; welcome to our neighborhood! As I am swiftly approaching my 49th birthday, I’m bursting at the seams in more ways than one. In a figurative way, I am bursting out of the 40s, hanging on (by my claws?) to this last precious year as a “40-something” which I plan to relish to the fullest. I so want my 40s, all of them, to have been fabulous. But the truth is, they haven’t been. The other bursting is taking place down here on the battleground, where the dailiness of life happens, where I am literally bursting out of the seams of my clothes. Four years ago, while going through my divorce, I was thin as a bean. “Wow, you look great!” I heard from left and right, and so in a manic attempt at convincing myself that it was all happening for a reason, I created a mental connection between the skinny me and the “a-okay.” Funny thing is, I was miserable, of course. But it felt great to be slender, even fitting back into my wedding gown from 23 years prior, which I wore to the Purim Carnival that year with the sign “mail order bride” dangling morosely from my neck. Today, shimmying into my stretchy jeans, cursing under my breath at what I’d like to call the shrinkage factor of the dryer cycle, I’m puzzled at the bursting. I am happy, I tell myself. I have come such a long, long way, I confirm, doing a quick mental inventory of all the self-improvement, mindfulness, yoga, hypnosis and therapy sessions I have been part of in the last four years. I am doing what I love, my children are healthy, I am loved. Breathe in, breathe out. My bra feels tight, damn it. True to form, in my over-thinking mind, I begin to ponder: Maybe I’m not happy. I may be telling myself that I am, when in fact, I may be faking it. With all the awful recent world events that social media brings too close, too often, it’s enough to make the most balanced Zen chick weepy, compulsively pouring the scotch and piling on the French cheese on those gluten free organic crackers. And then there are all those lingering haunting thoughts about one’s past: “what it I had just…” Maybe in this life of mine, bursting as it is with goodness, blessings and possibilities, I am also lying to myself? However, deep down I know that what I am bursting with, is not just empathic pain for the exterior world, but also, still, the emotions of the slow and arduous path to my own emotional recovery. 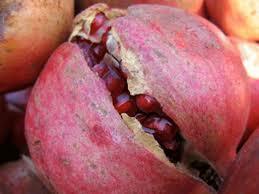 I also recognize that, like the glistening and plump seeds bursting forth from the cracked open pomegranate, the traditional fruit of Rosh Hashanah, the Jewish New Year, from which yields a glorious nourishing elixir, I have the ability to feed my soul with the stuff of my bursting. If I only put my mind to it. Fortunately, I don’t have to wait until December 31st to make my New Year’s resolutions, because the Jewish New Year is right around the corner. Moving forward, I want to be compassionate, not to bear down too hard. The resilience and enthusiasm I know is part of my temperament must carry me forward, and I will burst ahead with more gratitude, and less tears, at what truly seems a sacred life. Starting tonight, I will observe the Jewish day of mourning called Tisha B’Av, or the ninth day of the month of Av, in my own way. I will appropriate the significance of it –– commemorating the many tragedies that have affected the Jewish people throughout history through fasting and prayers –– and I will shape it to make sense in my historical context. 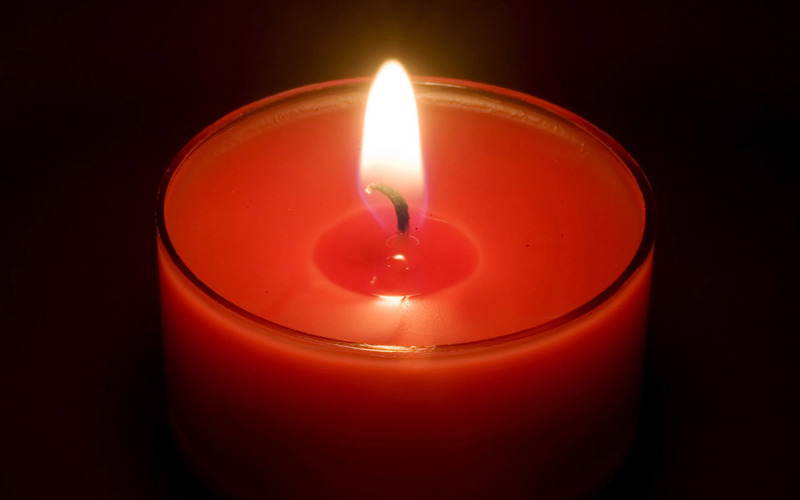 I will light a memorial candle for ALL the victims in the current crisis in the Middle East. Just before sunset, I will eat a hard boiled egg dipped in ashes as a symbol for the mourner, then I will fast for 25 hours, and I will read from the traditional Book of Lamentations. I will continue my prayers for peace, although much more intently, because I will know in my heart there will be millions of Jews around the world who will be crying out at the same time as myself for an end to this suffering. To all suffering. One way to help me achieve this spiritual time out will be to NOT open Facebook for the duration of Tisha B’Av. For whenever I do, I get tempted and find it impossible not to dive into the glittery, colorful ocean of graphic and verbal debates and accusations about who is at fault, who started, who is using too much force, or the wrong or unfair weapons or tactics. I get sucked in. Like a well meaning, peace seeking California dude surfer, I get sucked into a vortex of bad karma stuff that leaves me feeling like I am suffocating. Drowning. And I need to breathe to live. I need hope. I will try to be yogic about it: to seek some kind of transcendence, if only momentary, for something that does not make any sense at all: human suffering as it is inevitably brought on in wars. Where did all those great yoga sayings go, anyway?